Better Than Unicorns immerses you and your audience in carefully and thoughtfully crafted experiences. Whether it's engaging your clients at a trade show, selling a home that isn't built yet, creating compelling, immersive content to communicate needs or gratitude to donors- Better Than Unicorns is your full service production company with the tools, expertise and creativity to get the job done. Already visited Better Than Unicorns? Tell us about your experience! 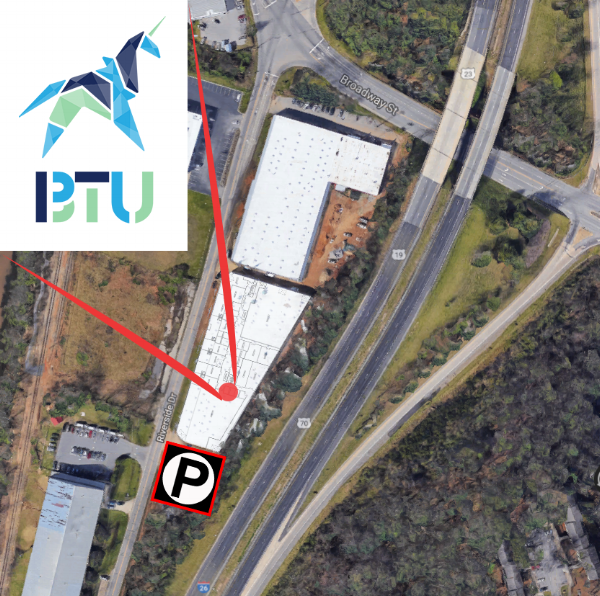 We are located on Riverside Drive catty corner from UNCA across I-26 & Broadway. On Riverside, we are immediately across the street from Asheville Community Movement. Look for the French Broad Chocolate Factory entrance, then you know you are in the right place. Park in the gravel lot, go through the French Broad Chocolate Factory cafe (And bring a few bucks for treats! ), we are just past Depositing and Enrobing area of the factory. We promise we are right through the glass doors there... look for the blue lights and happy people!